Welcome to the Ananda Gandharvas Website! 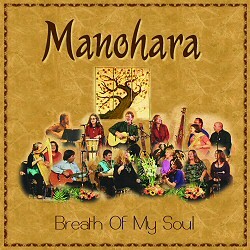 We hope you will find something of interest and value in the music and the goals of the Ananda Gandharvas. It is our desire and intention to create and offer inspired music to help promote world peace, higher consciousness, unity and harmony with all of our brothers and sisters on this planet and with all the earth, all it's creatures and all of creation. We believe in the power of music to lift, to heal, to move the heart and express the deepest truths in the human soul. Swami Vivekananda said "Music alone can take you to the highest." The highest Truth is realization of our oneness with all of humanity, all creatures, all creation. Music can help us to touch and feel this oneness and help heal the wounds that divide us. "If humanity is to progress, Gandhi is inescapable. he lived, thought, and acted, inspired by the vision of humanity evolving toward a world of peace and harmony. We may ignore him at our own risk". To sample or purchase the latest CD Click Here! Breath of My Soul by Ananda Gandharvas with Gordon Burnham and members of Ananda Ashrama Choir is a live recording of a concert/kirtan for world peace at SpiritWorks in Burbank, CA. and sponsored by the Jizo Peace Center. This is a very rhythmic and engaging performance, mostly Sanskrit kirtans with a few intense and heartfelt slow universal spiritual songs. Vocals, Sitara, Tamboura, Guitars, Tablas, Violin, Harp, Mandolin, Wood Flute, Bazooki, Percussion. A mystical and magical evening of chant and song.